Amada Private Transportation in Sayulita provides luxury round trip transportation service to and from Sayulita from the Puerto Vallarta airport. Services also include Day Trips and Excursions to other beach towns such as San Pancho, San Sebastian or Chacala. Want to explore downtown Puerto Vallarta? Armada Private Transportation is the best in town! and ask us for the best priced golf carts rental! Upon arrival, your luxury Suburban transportation can include water bottles, cervezas and margaritas upon request. Relax in the cool air-conditioned suburban and let us take care of everything for you! 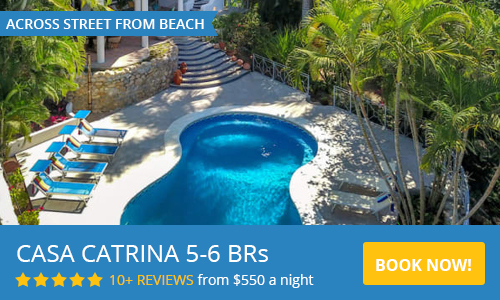 Your trip will also include a FREE OF CHARGE stop to the local Mega or Walmart to pick up supplies, groceries, and any other necessities during your Sayulita stay. All tours and day trips are customized to your specific desires. Please use the contact form to email us and we will get right back to you with a quote! The communication with David was easy and friendly, the car was spacious and comfortable and the driver was there waiting for us on arrival. However he left us in an adjacent street in Sayulita as he couldn't find our hotel so we had to walk and ask people where to go. We had the same issue for the way back, we waited 25min in front of the hotel while the driver was waiting in another street and no one contacted me to let me know the driver couldn't find the hotel. I had to request a phone number and ask someone who speaks spanish to help me get in touch with the driver. Again, we had to walk to find him in another street. Fortunately the driver got us really fast to the airport so we could make our flight. He was there waiting for us as we came through the airport doors. Apologized for not having beer in the cooler, we arrived at 6:30am I think the lack of beer was fine with us. He did offer water. Stopped at Mega for groceries. Pointed out some restaurants in Sayulita to visit. Got us back to the airport after our week. I’d recommend David to anyone going to Sayulita. Great service, on time and very flexible. I had to make a last minute time change which was done without any problems. David was wonderful. From the prompt email responses to the great service we would certainly recommend him to anyone looking for transportation to Sayulita. We’ve used two other companies in the past and I would recommend David above all the rest. We couldn't have asked for anything more. David was waiting for us at the door with a sign. A quick stop for cerveza and then a stop at the Mega mall for us to stock up on groceries. Then when we got to Sayulita, there was road construction outside the property we were staying in, which meant we had to walk in--uphill I might add. David went beyond the call of duty to help get all our luggage and groceries hauled in. Highly recommend this company. David and his associates are great. Extremely dependable, speak great English which makes things easy, excellent service and overall just a great experience. Wouldn’t hesitate to book again. The best transport in Sayulita!!! My party of 20 (10 adults/10 children) were well taking care of by David and his staff. David was always on time or early and extremely reliable. He is well equipped with car seats/boosters. He helped us at one point when lost looking for the correct marina!!!! Above and beyond!!! We used his services 8 times for transport in a two week period. So kind and friendly and accommodating for our large group to get around!!! We sincerely appreciate his services and would only call David when in Mexico. Thanks again David!!! From Team Canada 🇨🇦!!! Excellent Service and Great Recommendations! David was so responsive to our emails arranging the details of our trip. We arrived PVR 30 minutes early and he was there waiting for us. It was myself and one other woman traveling alone together so it was nice to know all of our transportation would be taken care of--we felt safe and in very good hands! David, also gave great recommendations for our stay in Sayulita. I highly recommend this service to anyone traveling to Sayulita needing transportation, day trips, or golf cart rentals. David provides an excellent service. David was at the airport when we arrived 3 hours late. He was very helpful, took us to the supermarket and helped us make our purchases. He was very helpful. Drove us to Sayulita, and dropped us off at our hotel. He was informative, and very helpful. He came back two weeks later and picked me up at my hotel and drove me back to the airport. David is very reliable and punctual. Highly recommend Amada private transport. Thank You David, it was a pleasure. We have nothing but praise for David and his dependable, safe service for our family of 5. I also loved that I could easily add him to What's App and was able to easily verify details this way, both from Canada and while in Mexico. No payment required until he dropped us at our hotel (absolute best rate I found) and he was waiting as promised outside the airport with a sign and my name. He had provided a car seat as promised and also had water and cervezas, which were much welcomed. David had great tips on the area and made great easy going conversation. The whole family, including teenagers and toddler, felt welcomed and at ease. On the sad day we had to leave David was promptly on time and was genuinely interested to hear about our week. I felt bad for other members of our family who arranged other transport and missed out on meeting David! Well done David, you will see us again!